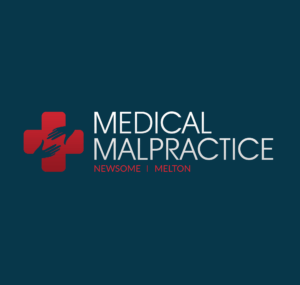 Medical Malpractice Help » Medical Malpractice Causes » Legal Information » How Much Do Lawyers Charge For Medical Malpractice? Your attorney will charge you a percentage of your settlement, plus fees and other court costs. Do I have to pay my medical malpractice lawyer up front? If I do not win, do I still owe my attorney money? If I do win, how much of my settlement or judgment will my attorney take? These questions are legitimate, and you deserve answers for them before deciding to hire an attorney. However, worries about whether you can afford a medical malpractice attorney should not prevent you from having legal representation, especially since most lawyers offer free case evaluations. There, you can ask questions, learn what to expect, receive advice about your options, and learn more about your realistic chances of winning. If you are considering filing a medical malpractice lawsuit, call Medical Malpractice Help for assistance. We offer free case evaluations, and we handle these cases on contingency. Call 1-855-MED-ASKS today to find out more. How Will a Lawyer Charge for Handling My Case? Most medical malpractice attorneys work on contingency. In other words, their fees are contingent upon winning money for you. If they are successful in doing so, they receive a flat, agreed-upon percentage of your medical malpractice settlement. In a contingency fee agreement, you do not have to pay your lawyer by the hour or agree to a flat rate regardless of the outcome of your case. Another term used to describe a contingency fee arrangement is “no fee if no recovery,” as you face no risk of having to pay a fee if your lawyer does not recover compensation for you. Contingency fees can vary. Be sure to ask any prospective attorney about the specifics before you make a hiring decision. Also stipulated in the attorney-client fee arrangement are litigation costs. Lawsuits are not free. There are court costs, expert witness costs, labor costs of hiring investigators, possible expenses associated with accessing medical records and other public records, and more. If your case looks strong, your lawyer might agree to front these costs and then deduct them from your settlement in addition to their contingency fee. For a Free Consultation With an Attorney, Call Medical Malpractice Help at 1-855-MED-ASKS. The Medical Malpractice Help team fights for your rights and the compensation you deserve. To schedule a free case evaluation and discuss the cost of pursuing a case, call 1-855-MED-ASKS today.